Your face is your first impression to the world, and it’s not just makeup that helps you look great. Beautiful, healthy skin is the foundation that helps you put your best face forward. A daily skincare routine that also includes regular, professional facials is the most effective way to look your best. Because everyone’s skin is different, the first step is a consultation with your professional esthetician, who can evaluate your skin and determine the best routine for optimal skin health. 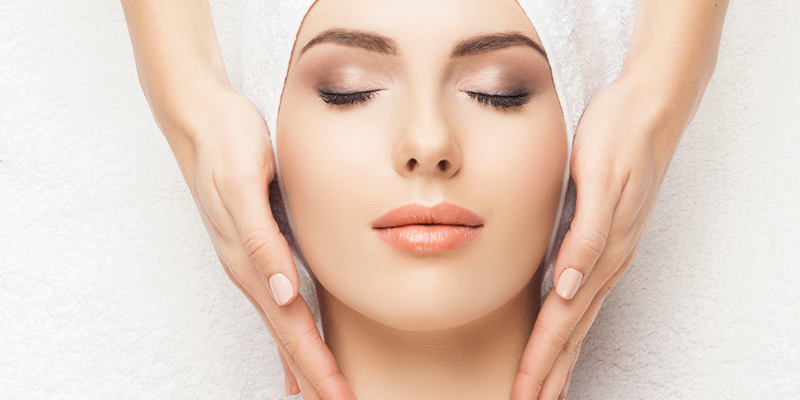 Regular, professional facials will be an important element for any routine. Regular facials exfoliate your skin, stimulating collagen growth and skin renewal for healthy skin. your professional esthetician can regularly evaluate your skin, addressing any issues immediately to keep them from becoming visible problems. Professional facials also include a massage component, which stimulates blood circulation and allows it to deliver vital oxygen to your skin. All of these elements keep your skin at optimal health. Without regular, professional facials, your skincare routine is missing out on those important benefits. The Glam Facial, with cleansing, exfoliation, extractions as needed, a masque and protection, all based on your individualized Dermalogica Face Mapping® skin analysis. The mediBac clearing® treatment, a deep-cleansing, hydrating acne treatment. The AGE smart® treatment, a firming, moisturizing anti-aging treatment that repairs damage and helps turn back the clock for your skin. The PowerBright TRx Treatment, a brightening, balancing treatment to leave your skin soft and hydrated with an even skin tone. The UltraCalmingTM treatment, to calm, smooth and replenish irritated skin. Your professional esthetician at The Glam Room can help you determine the best treatments and frequency to keep your skin looking its best. Your Glam Room Skin Care Expert will also make sure you know the proper steps to maintain your glowing skin at home in between your professional visits. To get started, make an appointment for a consultation today at The Glam Room. Our well-trained, experienced estheticians are dedicated to helping your skin look its best, so you feel great about showing your face to the world! You can find us at 308 Delaware Street in Kansas City or call 816-605-1949to book an appointment. Prefer to book and manage your appointments on your mobile device? Download our free mobile app at the iTunes Store, on Google Play, or on Amazon.